Killer Be Killed, the supergroup composed of Max Cavalera (Ex-Sepultura, Soulfly, Cavalera Conspiracy), Greg Puciato (Dillinger Escape Plan), Troy Sanders (Mastodon), and apparently Juan Montoya (MonstrO) for live shows, now have an official new member in their ranks. Cavalera recently revealed that Ben Koller, who originally was a fill in for drummer Dave Elitch (ex-The Mars Volta) during the band’s first performances, is now a permanent member of the group. Killer Be Killed (Soulfly, Dillinger Escape Plan etc.) have premiered a new video for their song “Curb Crusher.” This song is taken from the band’s self-titled debut album, which was released on May 13, 2014. The video was filmed during the band’s live debut, at the Soundwave Festival, in Australia. 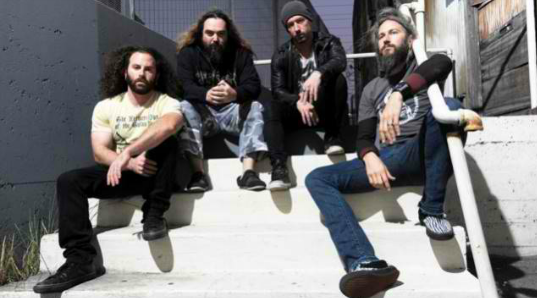 Killer Be Killed, the band featuring Max Cavalera (Ex-Sepultura, Soulfly, Cavalera Conspiracy), Greg Puciato (Dillinger Escape Plan), Troy Sanders (Mastodon) and Dave Elitch (ex-The Mars Volta), may be making new music and playing more shows in the future. In a new interview with Metal Hammer, Puciato said there will “absolutely” be more live performances and that they already have a lot of material for a second album.